Just when it seemed that there were were no adequate scripting systems for DBAs that could access .NET, along came two. Powershell and Python. I became interested in scripting about a year or two ago when I landed a DBA job in a larger shop that was primarily focused on production support and Database Change Management. I was assigned several projects, each of which had at least three servers, Dev, QA, and Prod. It quickly became apparent to me that keeping up with all the typical daily DBA tasks would require some automation. I had compiled an extensive set of SQL scripts to help with my daily tasks and I had dabbled with VBScript but it didn’t quite get my juices flowing. So, I continued searching, trying Perl and then Python, which I had tinkered with at home on a Linux box. I ended up deciding on Python, mostly because of its clean syntax which makes it really easy to read. An article entitled “Python for Oracle Geeks” was also an influence. All DBAs are busy, so I was looking for a language that I could be productive with in a minimum amount of time. I am by no means an expert at Python or PowerShell. I am a full-time DBA, remember? So, I’ve gotten to the point where I’ve automated several mundane DBA tasks and was pretty happy with my progress, when along comes PowerShell from Microsoft. I had heard about Monad but didn’t really pay it much attention because I was pretty satisfied with Python. Then, I sat for Gert Draper’s presentation on PowerShell at the Spring 2007 SQL Connections Conference in Orlando, Florida. I was very impressed so I bought Bruce Payette’s PowerShell book and dove in. Query multiple servers for information in one script, run at the command line and returning the results in a single pass as text, HTML, or XLS. No comic cursing, parentheses, or braces. Available across multiple operating systems. A general purpose programming language used by the likes of Amazon.com, Google, and Industrial Light and Magic. Finally, a shell scripting environment for Microsoft Windows. Easier to get to the MS internals? Less code to complete the same task? Maybe. Future integration into SQL Server. All of the examples to follow are simple ones that a full-time DBA has hacked together to try and ease the burden of the daily DBA chores. Checking free space on drives. I’ll show the Python code first then the equivalent PowerShell for each task along with appropriate comments. I’ll also demonstrate how to output the results as HTML, text, or Excel spreadsheet. 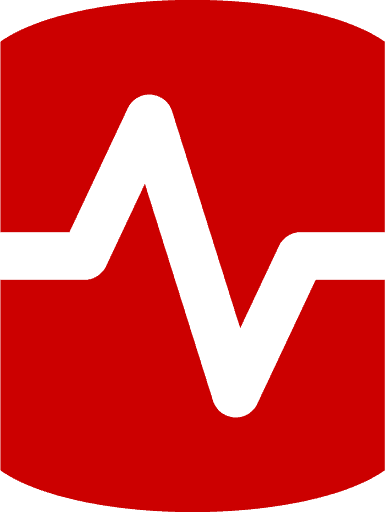 This past Spring, we had to make sure that the DST patch was installed on all of our database servers. We have approximately 300 of them. For most of them, we could determine from the following script that the patch was installed. There were some special cases but this script saved a lot of time. The basic idea for all the examples is to loop through a list of servers contained in a text file, connect to each server, run the query, and write the results out in the desired format. The Python scripts demonstrated will work with either ActivePython 2.4 or 2.5 from ActiveState.com. It’s likely these scripts will work with IronPython also but I have yet to verify it. Obviously, the most compelling concept here is that it took significantly fewer lines to produce the desired result. In defense of Python, the code that is needed to access the server, read input, and write output requires minimal changes once you’ve written your first Python script. You can quickly modify this initial Python template script to accomplish other tasks. Using Python, I just simply run master..xp_fixeddrives against a list of servers and format the output. # A script to check disk space on all database servers. # A script to find all occurrences of a database on multiple servers. # Writes output to a text file. # Python automatically stores the command-line arguments as a list of strings in the argv variable of the sys module. # If you want to see the list of command-line arguments, remove the # in column 1 to uncomment the line – print sys.argv. # sys.argv always contains the name of the script. # Accept command-line argument for name of database to search for. Why don’t you use the WMI module for Python? 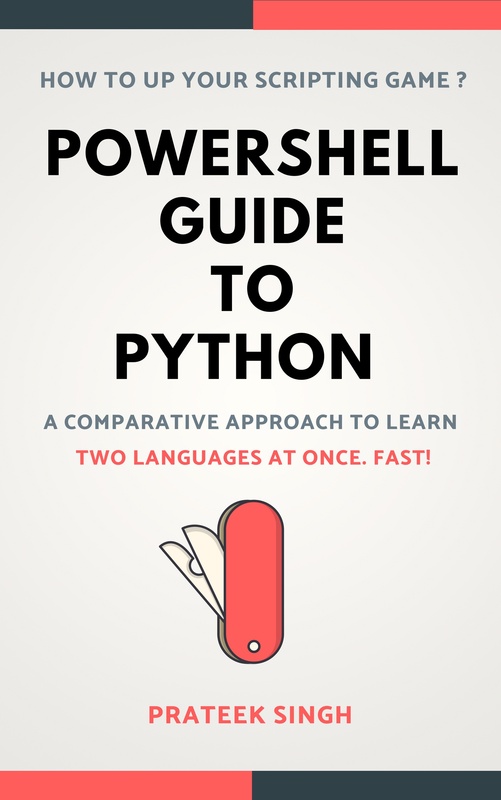 If you neglect to do so you really end up comparing apples and oranges and PowerShell will always come out on top for these kinds of tasks. Also in V2, you’ll able to run any command, expression, pipeline or scriptblock on multiple remote machines. I think you’ll find that fun to work with! @ken3 – PowerShell does provide you access to the .NET libraries. That is a great article. Many thanks. A question: I would have counted a point in Python’s favor that one’s knowledge of Python could be used outside the Microsoft world–for instance, on the net (as opposed to the dotnet). Is this so, or is Powershell well supported in general, too? Also, with some work, a Python function to output HTML tables could be made and reused. But yes, it’s nice if Powershell does that out of the box. In fact, I’m in favor of building a “utils.py” at a local site and doing “from utils import *” to get quick access to imports and reusable functions with minimal fuss. I also realize DBAs might not be adept at creating reusable code (because they’re busy being adept at other things). I don’t understand your comment “The only thing it wont do is CLR”. IronPython can do “import clr” and access the CLR. I’m not down on Powershell, btw. It looks like a nice tool with easy access to Microsoft infrastructure. The data-oriented results (as opposed to text-oriented like in posix) is a nice aspect, too. Sorry, Chuck, I was meaning SQL Server CLR integration; I’m talking as a DBA. You’re right, IronPython can access all the CLR routines, but it was the CLR integration bit with SQL Server that would be nice. At the moment we are stuck with having to get out the C# or VB for doing all that stuff. Like most DBAs, I just want one one scripting language to do everything. IronPython is the nearest I’ve seen- for me it looks ding near perfect. Please someone find a way of doing CLR integration for SQL Server with it. I do agree that one’s Python experience could be useful on multiple platforms. IronPython did come up during the tech review for this article. I have approximately 40 Python scripts so I am definitely going to validate them against IronPython. My first experience with scripting was on an Oracle server so IronPython didn’t fit at the time and it was still relatively new. That first script was running on a scheduler so I wanted to go with the mainstream Python implementation. Most of my Python scripts for the MS environment are meant to be run by the DBA to answer an immediate question. They were put together pretty quickly and weren’t initially meant to run unattended. Thus, the Python examples have a minimum of error checking in them. The PowerShell examples have no error checking as Chuck noted because they are for the most part very brief, I run them interactively, and I’m still learning the language. Based on Chuck’s comment, I have revised the first example to improve the “balance” between the examples and have asked Simple Talk if I can update the example. I enjoyed the article. Tools are personal and situational; when I went to try the Python examples I realized we do not have win32com modules on our Solaris systems! I’ve stuck with Perl as my scripting language – #1 because I know it – but #2 because I can use the DBD modules, compiled with FreeTDS, to access SQL Server (and Sybase) from Solaris. These are the kinds of things that let me port work done in the early 80’s to SQL Server, without a major rewrite. Which doesn’t mean someone can’t find a way to use Python to access SQL Server from Solaris – our situations and personal preferences are different. I was (and am) very excited about PowerShell – but OY the syntax – worse than Unix’s “find” command! allow us to write code that is as clear as we want it to be. This is made possible by the language’s ability to create module, class, functions etc. allow us to write code that is as clear and clean as desire. This is made possible by the language’s ability to create module, class, functions etc with ease. Would be interested to see example in this aspect which we find to be of most importance. write web user interface, access databases, text files, gather system information, process logfiles, sending mail, sms. We use it in Windows and Unix. Most written code are executed many many times. Ability to write clear reusable module is essential to productivity. While we’ve put in a lot of effort to write the module datasource which can be used to access Sybase or Oracle or SQL Server depend on the key supplied. Once written, the effort to access database become effortless even to remember. Note also the ability to refer the column name in the code as if they are attribute of the row. These are made possible by python’s ability to allow the emulation of attribute access. I was looking fow a way to work with Python in SQL 2005 and had found some way to connect through DSN. However, using that connection didn’t allow me to use the rich features of win32com.client.Dispatch(‘ADODB.Connection’). So what I did is I used the adoConn and with that I was able to query a table in a SQL2005 server. Tx very much!!! I would give this article a FIVE stars! PS: I found funny your comments about feeding the troup at home, you must have a big family! I have started writing a boo: ” PowerShell Guide to Python”, some of you may want to check that out. You can download the FREE book sample pdf, from the following URL.